The shoot for the last episode of season one recently concluded. If the leaked reports are to be believed then, Alisha Behura is the winner of So You Think You Can Dance India season 1. We will see her getting crowned tonight, Sunday, i.e., July 17. She is just a 16-year-old girl who will get the crown, trophy and a Hyundai i10 car as the prize according to the what India Forums reported. Alisha had been a part of the Dance India Dance season 4. This time, she has beaten other finalists like Roza Rana, Aryan Patra, Tarun Nihalani, Kalpita Kachroo, and Ryan Martyr in order to fetch the trophy. The first season of So You Think You Can Dance was hosted by ‘Naagin’ fame Mouni Roy and anchor Rithvik Dhanjani who is always seen hosting one or the other reality show. It witnessed a mixture of professional and non-professional dancers across the nation. 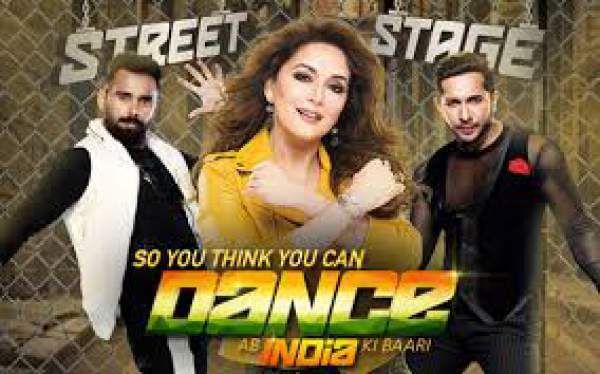 The team of judges included Terence Lewis, Madhuri Dixit Nene, and Bosco Martis. Alisha, Tarun, Aryan, and Kalpita are the finalists of the show. During the show, some reports popped up suggesting that Mouni had unintentionally hit Rithvik during the shoot for an episode of the show. In that episode, the contestants were asked to perform using props as a part of their acts. Mouni saw one of the participants performing with a mannequin, and she thought to add some fun to the act. In an attempt to do it, she hit her co-host with the hand of the mannequin. It was an unfortunate moment for both of them and especially to Rithvik. After that incident, he had to shoot the remaining part of the episode with his swollen face. Update: Alisha is the So You Think You Can Dance 2016 Winner. Everyone is excited for the grand finale of SYTYCD 2016. Aren’t you? Stay tuned to The Reporter Times for latest Entertainment news and all other tv reality shows updates across the globe. Don’t forget to share it on social media sites.